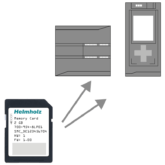 The memory card is suitable for use in the S7-1200*/S7-1500* controllers of Siemens AG. 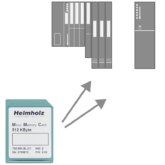 The micro memory card is suitable for use in the S7-300* and ET200S with CPU controllers of Siemens AG. Our product range includes the entire range of the most popular modules, plus the special variants 256 kByte and 1 MByte. The RAM Card is designed for use in CPU modules from CPU 412 to CPU 417. 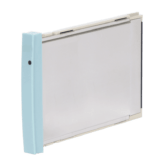 We have been able to achieve top quality standards and a very advantageous price-performance ratio with the use of modern manufacturing methods.